We provide university-wide connections through our many committees. Each of NC State’s colleges has its own diversity director or assistant dean. These officers work specifically to support diversity and inclusion in their colleges. See the listing of diversity officers. Committees at NC State promote campus diversity by providing a forum for students, faculty, staff and other stakeholders to anticipate and respond to the challenges of campus and community life. Whether solving problems, offering solutions, developing recommendations or formulating policies and procedures, diversity committees throughout campus are often the first place to take issues or concerns concerning diversity. The African American Coordinating Committee was established in the early 1980’s in response to the need for African American students to have a supportive network of advisors and advocates within the university structure. Members consist of a representative from each of the university’s colleges. The Coordinating Committee also has representation from other campus units that are significant in the lives of African American students. The Committee meets on a monthly basis. The work of Committee is facilitated by the vice provost for institutional equity and diversity. To collectively serve and support the African American student population at NC State. Through collaborative university-wide efforts, the Coordinating Committee will seek to ensure the academic success and graduation of every African American student who enters NC State. Relying on the many talents and experiences of this body, students will be a part of an environment that is conducive to their success, both intellectually and socially. Recommend and establish policies and initiatives that advance the university’s goals to create an environment where American Indian faculty, staff and students are able to engage and strengthen their advocacy and presence on campus. NC State acknowledges its mission as a land-grant university that encompasses efforts to provide outreach in the delivery of quality education to all citizens of the state of North Carolina. In order to enhance the university’s ability to communicate and build relationships with North Carolina’s American Indian tribes and urban organizations so as to promote mutual cooperation, we seek to increase NC State University’s efforts in the understanding of American Indian issues and concerns. The NC State University American Indian Advisory Council (AIAC) is both an internal working group and an external advisory committee comprised of students, faculty, staff, administrators, tribal and community leaders. The council shall advise and report to the provost of NC State University and be convened by the Office for Institutional Equity and Diversity to address the culturally relevant needs of current and future American Indian students at NC State University, and the staff and faculty serving them, as well as to promote the education and self-determination of American Indian tribal communities. It is the ultimate goal to fulfill NC State University’s mission in making it the “university of choice” for the original people of North Carolina. The Chancellor’s African American Community Advisory Council advises the chancellor on matters to promote university and African-American community relationships of mutual benefit and serves as a bridge between the two entities. The mission of the Council on the Status of Women is to support equity for women, faculty, staff and students by advocating their rights, values and professional principles and by providing opportunities, counsel and leadership to promote a diverse and inclusive university community. advice related to campus networks for information, communication and cooperation on issues, women’s needs and opportunities for field faculty and staff and employees off-campus. The Council selects its own chair and recorder for one-year terms. These terms may be renewed once. See the Council on the Status of Women website for more information. The Hispanic/Latinx Advisory Group (HLAG) is both a working group and an advisory group comprised of students, faculty, staff, administrators and community leaders that ensures that the needs of current and future Hispanic/Latinx students are met. 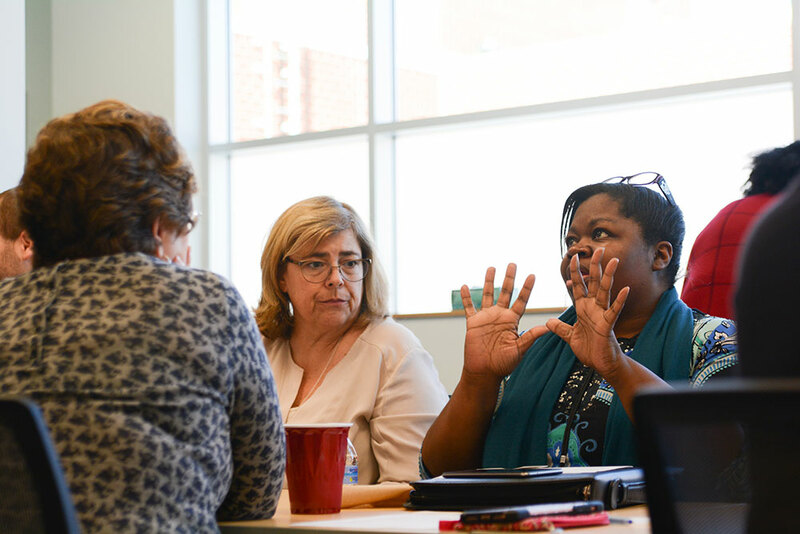 This group is convened by the Office for Institutional Equity and Diversity to promote collective work efforts across the university, while also fostering relationships with community organizations and school districts to make NC State the “university of choice” for Hispanic/Latinx families. recommend and advocate for policies that advance the university’s goals to create an environment which fosters success for Hispanic/Latinx faculty, staff and students. NC State University is committed to excellence in developing and sustaining programs that support the experience of our current and future military veteran students and their families. In pursuit of this goal, the Office for Institutional Equity and Diversity convenes the Military Affairs Committee monthly to discuss topics of relevance and concern to this important and growing student population. This is done in concert with efforts to promote “Best Practices in Veterans Affairs” across the UNC System, as led by the UNC General Administration and the UNC Partnership for National Security. service member call to duty. The duties of the Staff Senate Diversity Committee shall be to make recommendations to the Staff Senate regarding diversity on NC State’s campus. These recommendations include working with the university to develop its Diversity Initiative by: helping to further define diversity on campus; developing methods to measure the university’s progress toward the achievement of its goals and objectives; receiving employee concerns regarding diversity in their area or throughout the campus and making recommendations to the Staff Senate; and periodically reviewing the University’s Diversity Initiative for areas which can be improved upon. See the Staff Senate website for more information. The mission of the University Diversity Advisory Committee is to advise the vice provost for institutional equity and diversity to advocate for initiatives that will facilitate the progress of diversity at the university, to challenge practices that hinder the fulfillment of the university’s vision for diversity and to support innovations that stimulate and advance the fulfillment of the university’s vision for diversity. monitor progress on strategic diversity indicators and standards to ensure responsibility and accountability for achieving diversity, multiculturalism, cultural competency and affirmative action-related goals and objectives. The Association of Women Faculty includes all women faculty at NC State University. They come together to support, engage and encourage one another and aim to help promote and sustain women in our profession at NC State and to monitor and encourage equity for all women across professional ranks and tracks at the university. Activities include reading circles and the showcase of NC State Women Faculty’s Research, Creativity and Scholarship. For more information, see the AWF website. Contact: Dr. Marcia Gumpertz, Department of Statistics. The focus of the Multicultural Faculty Group is on recruiting and retaining faculty from a multitude of backgrounds and cultures. The group organizes networking opportunities for faculty, including Multicultural Faculty Group gatherings and networking hours. Announcements about upcoming Multicultural Faculty Group events and other NC State events of particular interest to faculty, grant opportunities, conferences and calls for proposals relating to diversity in higher education and news about Multicultural Faculty Group members are posted on the Multicultural Faculty Google Group. The Google Group also provides a forum for online discussion and a directory of members. The Hispanic/Latinx Advisory Group (HLAG) is both a working group and an advisory group comprised of students, faculty, staff, administrators, and community leaders that ensures the needs of current and future Hispanic/Latino students are met. This group is convened by the Office for Institutional Equity and Diversity to promote collective work efforts across the university, while also fostering relationships with community organizations and school districts to make NC State University, the “University of Choice” for Hispanic/Latino families. recommend and advocate for policies that advance the university’s goals to create an environment which fosters success for Hispanic/Latino faculty, staff and students.